We are introducing to you a Complex Dimmer, which allows you to control 52* meter of Analog LED Strip or bar. 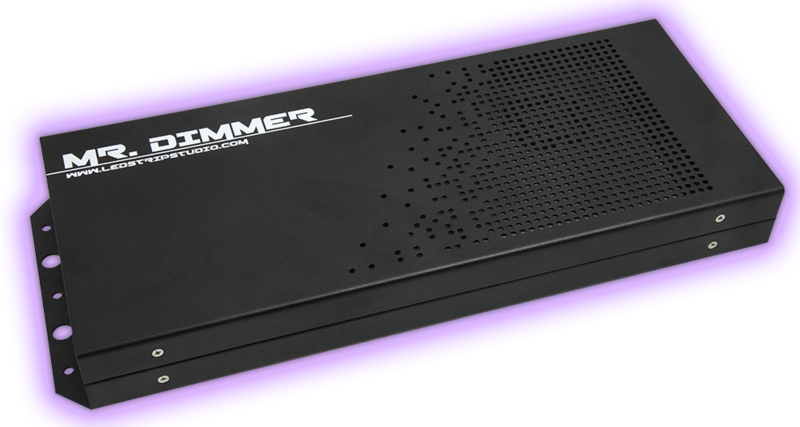 Mr. Dimmer allows you to control 4 individual analog RGB LED strips using 12 RGB channels. For professional TV installations, you can even ask for 16bit color channel precision. High-frequency PWM is flicker free on camera. Because the 320 W 24V DC power supply is an inner part of Mr. Dimmer, you can use it for up to 52 meters of Analog LED Strips, 30 LEDs per meter. Please note that the maximal current per each analog output is 13 A. Out LEDs let you know that analog signal is running through analog output. In this case, if your analog LED light doesn’t shine, the problem can’t be in power cable, power supply, even in control unit inside of Mr. Dimmer. You know that the problem can be in your RGB LEDs or connection between Mr. Dimmer and your LED strip. Mr. Dimmer Status LEDs – Green LED means I’m on. Flashing Orange LED means I’m receiving DMX signal. We are offering several kinds of a power supply which can be integrated inside of Mr. Dimmer – 320W 24V, 320W 12V, 200W 24V (fanless), 200W 12V (fanless), another optional power supply on request. 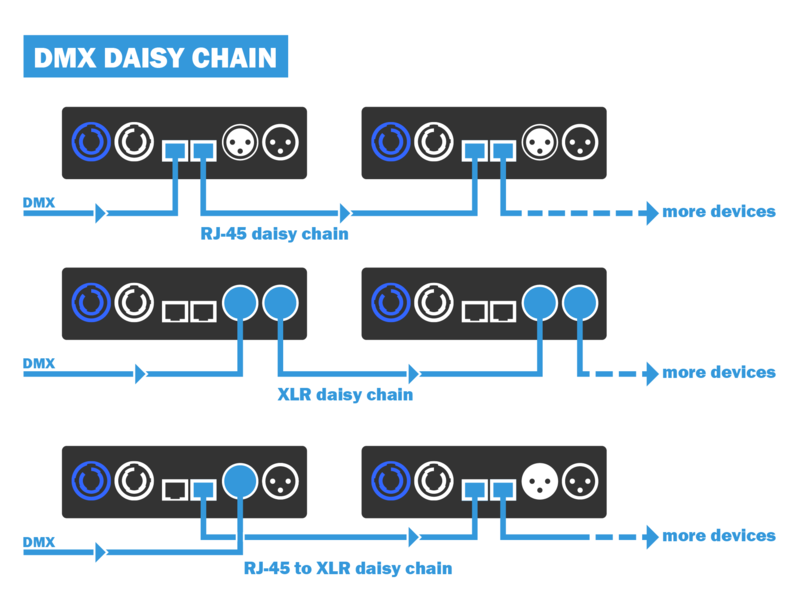 Power-Con Daisy-chain is one of the most useful features which is also supported in Mr. Dimmer device. There are situations where you need to do it quickly connect another MR. Dimmer device. You can do that easily and share DMX signal over standard 3 pin DMX XLR connector or RJ-45 connector. You can do combinations of booth option of course.